Okay, pau the nostalgia and sadness for awhile. It’s Tour de Fleece time. 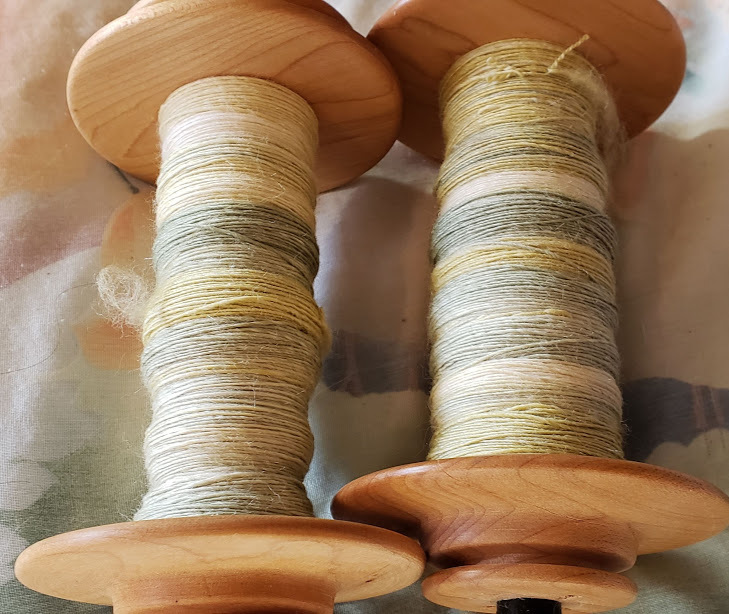 I want to ply the singles on these two bobbins together. I’m in the middle of knitting a shawl with this colorway, and ran out of yarn, so I had to spin more. 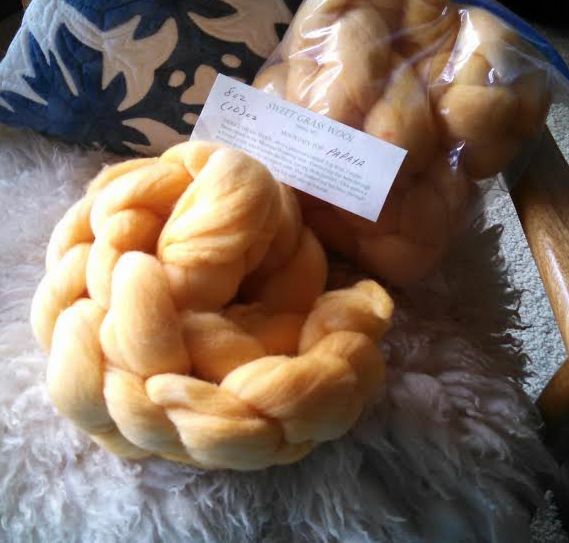 This is “Beargrass”, from Raven Ridge Fiber Arts, and it’s one of my favorite colorways. 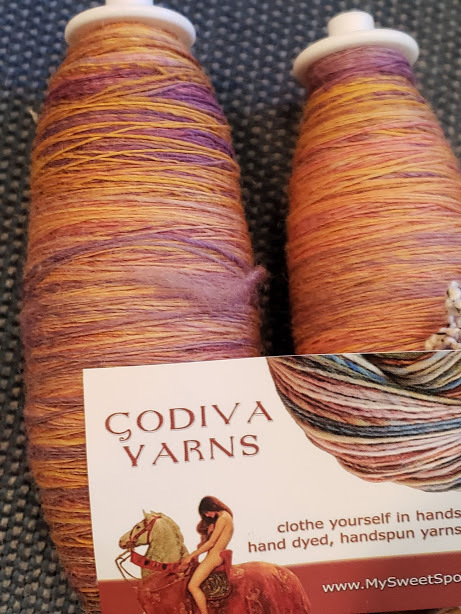 While searching through my spinning basket, I found these two bobbins, which I’d totally forgotten about. They need plying, too. I’ll chain ply these ones to keep the colors separated. I’m in the middle of spinning this luscious stuff, “Elfin Magic”, by FatCatKnits. I was spinning this morning at the coffee shop when my battery pack quit on me. Argghhh. 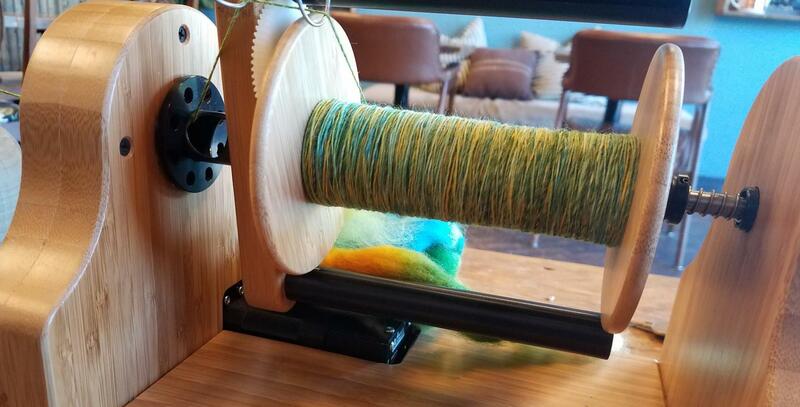 Next, I’d like to be able to finish spinning this beautiful fiber from Sweet Grass Wool. It’s been languishing for quite awhile. It’s the “Papaya” colorway. In all honesty, in the three weeks we have to challenge ourselves, I really don’t think I’ll be able to finish it all. But I can try! 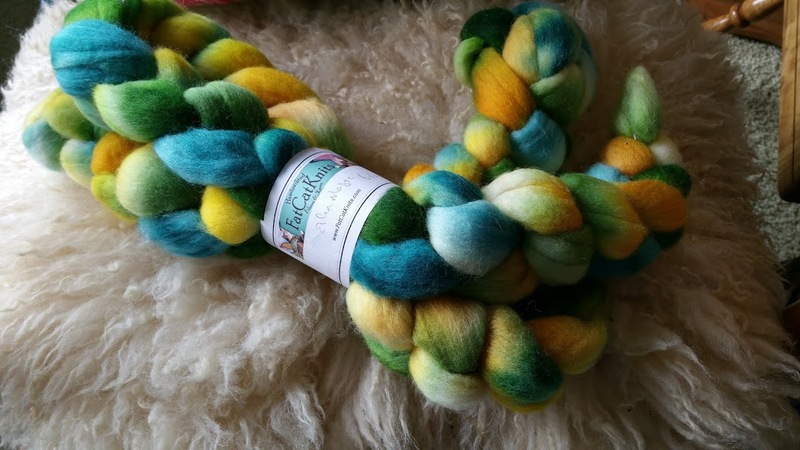 This entry was posted in Da Kine: Sometimes Full-on Pidgin, Handspinning, Tour de Fleece, tour-de-fleece and tagged 2018, fatcatknits, raven-ridge-fiber, sweet-grass-wool, tour-de-fleece. Bookmark the permalink. Absolutely I will! I’m so glad I’ve got my e-spinner… I couldn’t spin for as many hours on my Ladybug because of my knee. You go, Moki-chan! Looking forward to seeing your results. I appreciate your cheerleading!! Keep dem pom poms going!